Tolar residents are cleaning up Jake’s Mobile Home Park on U.S. Highway 377 in Hood County Tuesday after an EF-1 tornado touched down in the area. 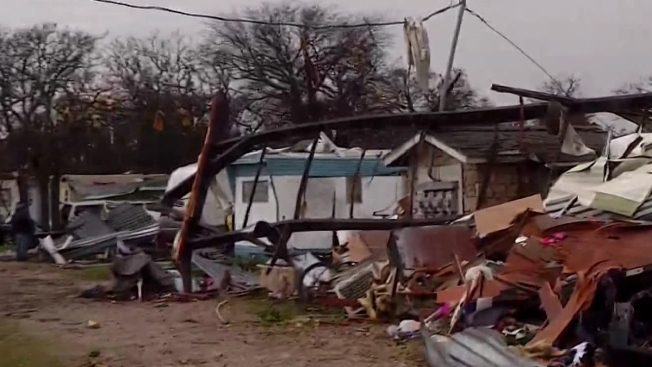 The storm swept through the neighborhood around breakfast time and damaged about half of the 22 mobile homes in the park. 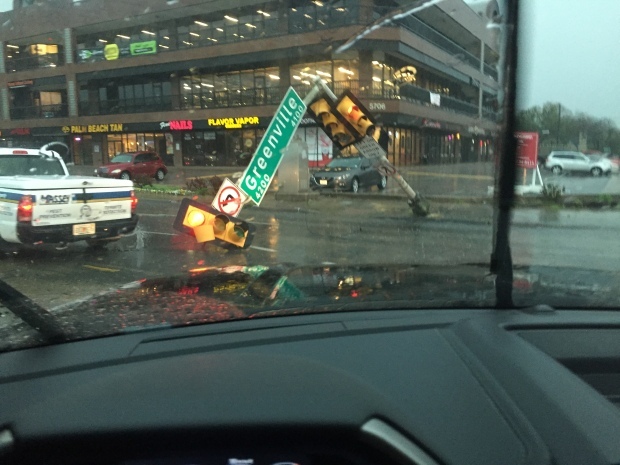 The storm had top winds of 85 to 95 miles per hour, according to the National Weather Service. Dawkins said the mobile home next to his was destroyed in the storm. The Tolar Fire Chief said at least two people were hurt when their home was thrown about 40 yards across the park. Jimmy Hill helped dig people out of the rubble after the storm passed, including the two people who lost everything. “I’m really shocked that they’re alive,” Hill said. Many community members stopped to see the damage and offer help to the victims. More rain is expected Tuesday evening and Wednesday. Sunshine is expected to return by the weekend.